Expion provides Social Media Management Software that enables large Enterprises to publish and aggregate social media conversations that can scale to hundreds of local based Facebook pages, Twitter accounts, and YouTube channels, etc. We look forward to partnering with your company! Please fill out all fields marked with *, or if you would rather simply contact us, please click here. We will contact you as soon as possible. Please ensure all fields marked in red are filled out completely. 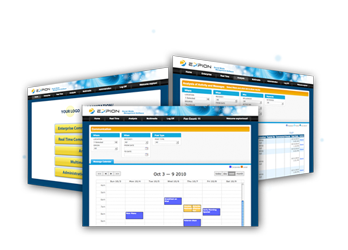 Expion’s software manages thousands of business profiles on Facebook, Twitter, YouTube and beyond. Our centralized platform empowers you to localize and align your social marketing efforts. Expion provides rich Facebook competitive intelligence to improve your messaging. Our analytics MAKE business sense to foster successful engagement. Expion is a social software company. Our centralized platform empowers retailers, brands, and agencies to localize and manage their social marketing efforts. With flexible controls, real-time analytics and the ability to manage thousands of business profiles, Expion provides companies with enterprise-grade support at a fraction of the cost. Companies like Applebee’s, Barnes and Noble, Ignite, Samsung and AMC Theatres are all using Expion for consumer engagement. Founded in 2009, the company is privately held and headquartered in Raleigh, N.C.
"We're engaging guests where they live and work, generating increased brand awareness in their neighborhoods. We're also better able to collaborate on new initi..."
"My goal was a system that required less than ten minutes of my local managers' time. Expion has allowed us to fully support our restaurants having a local pres..."
"Our operators really took to the Expion platform, and were incredibly pleased with how easy it is to use and how responsive Expion's customer service team is,"
"Combining our retail excellence with a deep understanding of student and university trends, we are delivering innovative solutions that are transforming our co..."
Max J. Roberts, president of Barnes & Noble College. "We currently have nearly 250,000 Facebook fans, and the platform has jumped from the fifth to the number one referral site to our campus bookstore websites sin..."
"It’s really made the process of posting more collaborative and more efficient. Expion is easy to use and provides tracking for all of our posts. Everything t..."
"Expion is a great tool, but I also loved how the Expion team continues to go above and beyond in both getting us up to speed and considering our new feature re..."
"We have worked with many of the platforms available to agency’s and continue to be impressed with the functionality of Expion’s software. They are a clear ..."